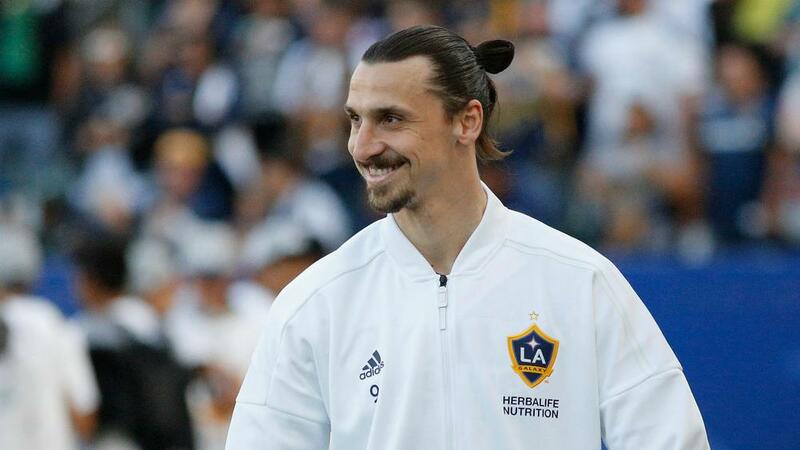 Zlatan Ibrahimovic has rarely seen eye to eye with Cristiano Ronaldo, and the Swedish superstar has taken aim once more at the 33-year-old. Honing in on comments made by the Portguese star, Ibrahimovic has been quick to dismiss Ronaldo's premise that he loves to take on a challenge, insisting that their are few easier jobs in world football than leading the line at Juventus. The Old Lady has lifted the Serie A title in each of the last seven seasons in Italy, while Ronaldo has already pillaged 15 goals in his 25 appearances since moving to Turin from Real Madrid last summer in a £100million move. And the LA Galaxy forward has stated that if Ronaldo wanted a real challenge, he would have stretched himself trying to better a struggling side. 'Ronaldo talks about challenges but he decided to go to a club who have been winning the Serie A title with their eyes closed,' he said. 'Why did he not choose a club from a second division a few years ago? Try to become a champion with such a second-division [club] and lead them to the highest level. Ronaldo has attempted to portray his move to Juventus as a bold move, attempting to coax his former La Liga rival Lionel Messi into joining him in Italy. 'I've played in England, Spain, Italy, Portugal and for my national team, while he's still in Spain,' he said. Ibrahimovic has never been afraid to downplay the abilities of the former Manchester United star. He omitted Ronaldo from his all-time XI posted on Instagram in December, while also referring to the Portugal captain as having no natural talent.